The latest on all kinds of information, news and resources that help you make working remotely better. Keep a boundary within your home where work begins and ends. If you have the luxury of choosing your work space, it should be maintained as distinct from other rooms as possible. Make sure that distractions like game consoles, personal books, and other things that are non-work related are eliminated. Give it the real importance it deserves, set up your office at a more convenient area of your house. Even when you work in tech, you can’t avoid having papers around. Invest in at least one four-shelf bookcase that can hold dozens of folders, books, and paper periodicals you still read. Organization is key to maintaining a good working environment. Having a great work from home set up doesn’t assure you that your work flow will always go smoothly. Make sure that you have that you have the number of the most convenient local IT provider to cover your tech needs. The kind of light source you put in your work area will not only affect the quality of your work but the also your health. If you spend most of the time staring at your scree, f.lux should become your best friend. Aside from automatically adjusting your display colors and contrast depending on the time of the day to keep your eyes less stressed, it also helps you wind down easier by eliminating the blue light of your screen in case you’re working till late. Keeping employees both happy and productive requires more thought and effort than most think. With all the articles on the internet regarding remote work productivity, you’ll read the employees who work remotely are happier and more satisfied due to less commute and more flexibility. Sqwiggle and Speek are among the communication tools that can integrate smoothly into your common work habits. Working towards a common goal can be challenging when your distributed team is working in a different time zone. Using collaboration tools meant for teams, like Nozbe and Campfire, to simultaneously work on projects are great for working asynchronously. The best tools for tracking productivity focus less on your laundry list and more on your accomplishments. Edsel suggests we check out Yesware, a lightweight plug in that tracks email activity, and iDoneThis, a great way to keep the team updated on everyone’s progress. Telecommuting is rising, no one will argue with that. According to Society for Human Resource Management (SHRM), 38% of employees has offered the benefit in 2014 – an increase of 23% since 2008. Also, more companies began offering telecommuting in 2014 than any other benefit. Although working from home sounds like a great idea, there are a variety of challenges we need to address in order for us to enjoy the advantages that come with it. Telecommuting can isolate you and that may not be a good attribute for productivity. It can also present too many distractions. The need for employers to be connected and working during the business hours should be explicit. However, using the right tools and understanding the nature of telecommuting can help you overcome the drawbacks that come with it. Creating a strong company culture can be difficult when you’re managing a remote team. One of the biggest reasons why virtual teams fail is because they don’t communicate or collaborate as much as they need to. However, according to David Hassell, asking the right questions at the right cadence builds structure and team cohesion and turns your imaginary office into something tangible. Who on the team would you like to get to know better? What do you think could help us to improve daily communication? 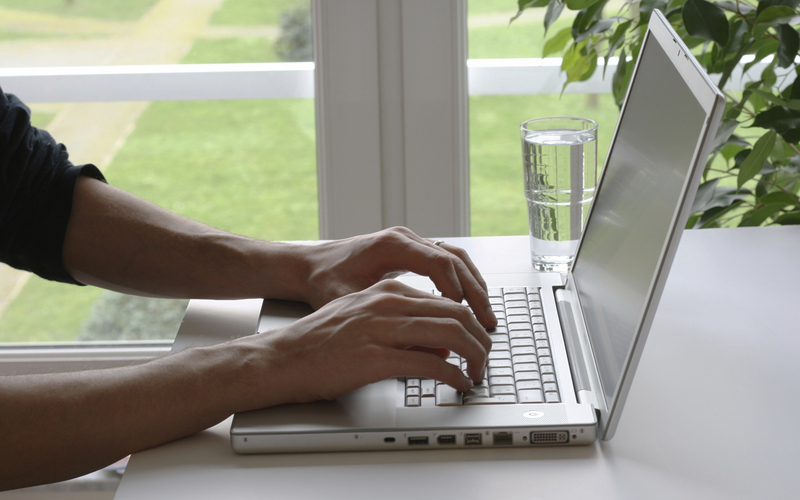 How have you improved your remote working skills this month? What value do you get out of the daily/weekly call? How would you feel if we held it less frequently? How’s the morale in your virtual office? What challenges are you facing? Are you out of the office or traveling in the near future? What has communication been like with team leaders, managers, and directors? What are your primary goals this quarter? Would any additional training be helpful? What has become harder and easier in our work and business? Communicating effectively and knowing the right questions to ask will help you keep your remote team focused on achieving company goals. Delegation is an essential leadership skill, and delegating to a virtual workforce is especially challenging. Here are some valuable tips on how to handle virtual delegation from Reputation Central, a fully decentralized business with remote workers around the world. Know when to use instant messaging versus email versus a phone call or a face-to-face meeting. There are times when a phone call or face-to-face meeting is better. According to a recent survey by online project management comparison firm Software Advice, 38% of respondents cited communication as the key issue when working within a virtual team. In order to create a chain of communication that everyone can reference, you must document everything. Using project management tools like Basecamp will allow you to upload emails, documents and other files that everyone can access when needed. John Jonas, owner of Replacemyself.com and Onlinejobs.ph, recommends having the digital equivalent of an office whiteboard accessible to keep the team on track. If you’ve got a full team, share the load. Being flexible with tasks and who can do them ensures your business is ready to pivot if something changes. Working remotely has a lot of benefits, Henry explains that you’ll have to put in a little extra effort and make sure you’re clear when you need something, respect other people’s boundaries, and reinforce your own. As long as you can get those things down you’ll be fine. Having the option to work from home brings a lot of benefit to employees and employers alike. You can set your own hours, dress how you want and work in a way that maximizes your time and skill set. However, working from home, whether it is on a part time basis or full time job, is not without challenges. Following the tips mentioned above will greatly help you increase your productivity levels while still enjoying the perks of working from home. There are countless benefits when working remotely, such as having control over work schedule and personal life, expenses, and greater productivity. There is no longer a need to question why so many people choose to become virtual employees. On the other hand, working from home also adds a few lines to the budget that might not have been there previously. Even if you ride the bus or own a car, commuting a long distance is not really helping you save money at all. There are more expenses that just gas to take into account such as tolls, parking, vehicle wear and tear and maintenance, and the lost time spent driving or commuting when you could be doing other important things. Eating right helps you work better, think better and play better. When you work from home, it’s a lot easier to find the time and motivation to make healthy and budget-friendly meals. Childcare can be really expensive, but working from home allows you to spend more time with your kids depending on the schedule you have established. We might feel the need to keep up with everyone and sometimes you have to spend money to do so. Working remotely relieves you of peer pressure and unnecessary purchases. Cutting ties with a traditional job also means losing your healthcare coverage and if you’re used to having your insurance covered, this can be a big adjustment. In order to know more about working from home tax implications, you should do more research and ask a CPA to fully understand how taxation works. There are a number of rules, and the rules differ depending on whether you’re self-employed or an employee. If you want a smooth work flow, spending extra for computer upgrades, higher internet speed and additional equipment is a must. The good thing is you might be able to write off a number of them come tax season. With long commutes and budgets cuts, more people are working from home. But how can you make sure you do work and not watch TV? Stephanie Hill shares her tips on how to work efficiently. 1. Know the flexible working policy of your organization. Flexibility can be challenging, especially in small organizations. In order to get a clear understanding, you should take time to ask your HR department for their homeworking policy. Creating a home office that provides comfort and contains everything you need to work with is very important if you want to be more productive in what you do. Take advantage of modern technology to establish an online presence. If you want to ask a question or discuss work related issues, don’t be afraid to call the office as well. Is working from home right for you? Make notes of what works and what does not. Telecommuting is getting a lot of attention lately. According to the research, there are more than 53 million Americans working remotely, on a freelance basis. The report says that approximately 20% of the entire global workforce work on a telecommuting basis and about 29% of them work from home at least part of the week while 10% of them work full-time from home. Working from home is a dream, but for many, it also has its pitfalls. Christoper Calhoun, from ReadWave, writes about the challenges of building and managing a team remotely. Every member of the team must have great communication skills and share a common vision and culture. Aside from the occasional video conferences, you should also take advantage of the numerous tools that can help virtual teams communicate better. Skype, GoToMeeting and Yammer are just some of them. Telecommuting will always bring with it certain security issues. Thankfully, Proxy Networks says that most of the security problems a remote help desk team may encounter can be sold. Building a company culture remotely can be a true challenge. Slack, Uncover and Google Hangouts are some of the tools that can help you build a team that knows how to have fun remotely and not just work remotely. Concentrating while in the comfort on one’s home can be challenging with so many distractions near by. This can be solved when your team is properly motivated and everyone are all professional and driven.